Operator: Marpro Ltd, Goole, UK. 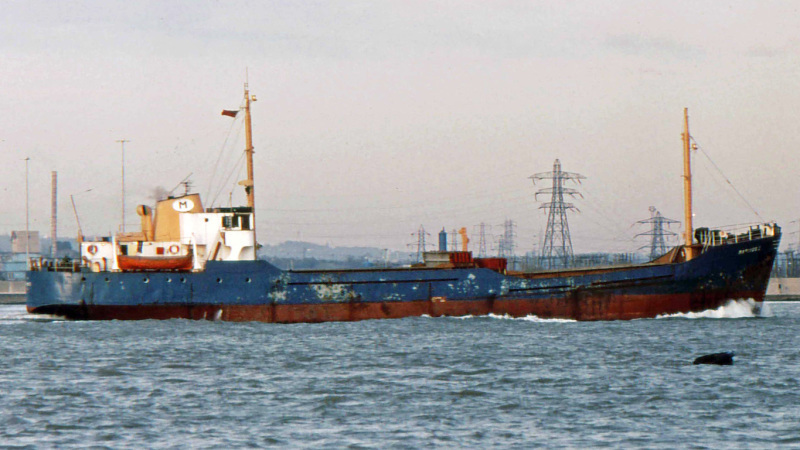 Built: 1963 by Goole Shipbuilding & Repairing Co Ltd, Goole. Yard no 541. Main engine: 2 x six-cylinder, four-stroke Lister Blackstone ERSM6 of 990 bhp at 750 rpm, geared to single screw shaft.. Built for Hull Gates Shipping Co Ltd (S F Craggs & Co Ltd, managers) as FOXTONGATE. 1983-sold to Mistpride Ltd (managers R F Quinn), Goole as CELTIC ROSE. 1989-sold to Agostino Vieira & Faia, Funchal, Madeira, converted to a sand dredger/carrier and renamed ILHA DOURADA (Portuguese flag). 1993-total loss after being wrecked in a storm at Madeira 29/10.